Vietnam Airlines is the flag carrier of Vietnam. Founded in 1956 under the name Vietnam Civil Aviation, the airline was established as a state-owned enterprise in April 1989. 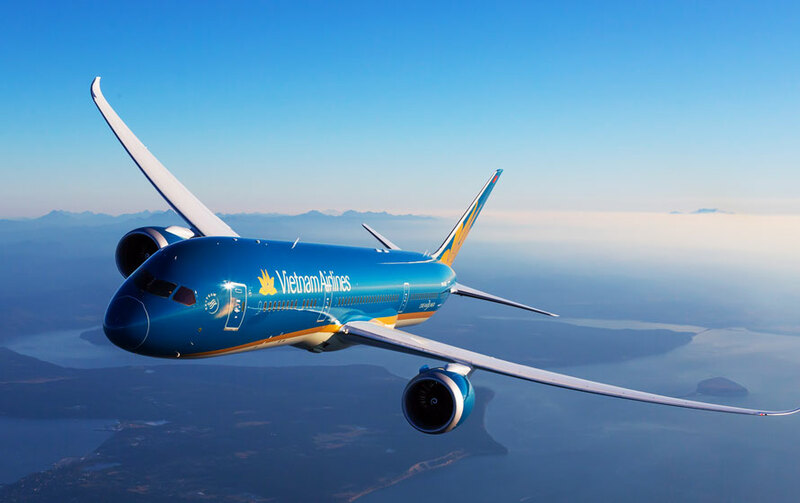 Vietnam Airlines has its hubs at Noi Bai International Airport and Tan Son Nhat International Airport. Vietnam Airlines became a member of SkyTeam in June 2010. Vietnam Airlines offers best services, on-time and hassle-free operation at the best possible fares! Vietnam Airlines operates on a mixed fleet of 84 aircrafts. Vietnam Airlines provides scheduled services to 70 destinations. Refer the airline website for detailed information. Vietnam Airlines is a full cost carrier and its aircraft cabin is divided into three cabin classes. It is a part of the SkyTeam alliance and allows passengers to collect and redeem miles on all participating airlines of the SkyTeam. The best deals and cheap flight tickets available for India and beyond ! Book tickets for 10 travellers or more with Vietnam’s flag carrier Vietnam Airlines by FareHawker flight Group Booking desk. We offer Vietnam Airlines group fare facility for all travel portal, travel agencies, corporate & tour operator. Our ex-airliner team members are expert in handling small or large segment of Group Bookings. Group Booking requests can be made when a minimum of 10 passengers are travelling together on the same flight. Group rates can be slightly higher/lower than individual prices however, the rules for Group Bookings offer greater flexibility including payment options and name reporting. For small groups (10-15 people) where price is more important than flexibility, FareHawker Group Booking centre always help passengers to get the lowest airfare. Avail the best discounts on group air tickets. FareHawker provides group fare for major airlines in India and abroad. If you are planning to travel in a group and require a group fare kindly post your query so that we can provide you with cheapest group fare options. Vietnam Airlines Flight Lowest Group Fare - Buy Group flight tickets with FareHawker for booking international airlines group tickets on discounted fare. We are the largest consolidator for Group Air tickets in India and abroad. Post Your Group Booking Query for Vietnam Airlines. How to book Group Tickets in Vietnam Airlines Flight ? Any traveller, corporate, travel agency or individual can directly mail to FareHawker Group Desk team by asking for Vietnam Airlines flight group fare. Our group booking expert will get back to you on the same trail within 4 hours. For us at FareHawker #1 priority is you - Traveller/ Travel Agent/ Corporate ! We care about your reservations as much as you do, which is why we offer the best telephone and email support as well as our dedicated ticketing support center that works round the clock. Air ticket booking available at lowest airfare for Vietnam Airlines flights at affordable prices at FareHawker. Vietnam Airlines flight online booking - Book Vietnam Airlines ticket online at lowest air fare at FareHawker. Get best offer for Vietnam Airlines connecting India and abroad! FareHawker – The largest consolidator for airline booking ! Book Vietnam Airlines tickets with FareHawker as we offer the best-in-class fare options for all types of airline bookings. Our dedicated ex-airliner team with their in-depth industry knowledge offers you the cheapest possible fares for domestic as well as international travel. We take pride in our relationship with the airline partners and it is this relationship that allows us to offer you great travel solutions. We are here not only to find the best flights at cheap airfares but also to offer you consolidated travel services so you enjoy a seamless travel experience. Visit Vietnam Airlines FAQ for all related queries. Terms and condition of FareHawker and Vietnam Airlines apply. Avail airline Group Booking for cheap group airfare from FareHawker.com for all major airlines in India and abroad as we are the largest consolidator for Group Booking in India. FareHawker offers discounted group airfare for all leading airlines in India.